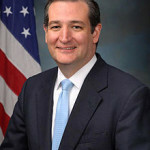 An African American woman who was the victim of eugenic sterilization has endorsed Senator Ted Cruz for president. Elaine Riddick, who was sterilized by the State of North Carolina without her knowledge or consent after she was raped and delivered her son as a teen told Live Action News that she is endorsing Senator Ted Cruz because he values life. Riddick, whose forcible sterilization was ordered by the Eugenics Board of North Carolina, is very outspoken on Planned Parenthood’s eugenic agenda. The organization was founded by Margaret Sanger, who pushed eugenic ideology. “Euphemisms and sterilization target code words, for example, “feebleminded”, were used to describe Black women like me,” Riddick wrote in an Op-Ed. Shortly after this interview Elaine Riddick testified before the North Carolina State Legislature in a successful effort to receive compensation for the sterilization. “They cut me open like I was a hog,” Elaine Riddick testified tearfully. Riddick told the lawmakers that her only crime was being poor, BLACK, and from a bad home environment. North Carolina was not the only state whose eugenics programs were influenced by friends of Sanger or Planned Parenthood. In some parts of the country, Planned Parenthood was closely associated with these state eugenics boards and was often a referral agency for them. Riddick told Live Action News that any politician who supports abortion and Planned Parenthood would never get her support. This is why she has been an outspoken advocate of Ted Cruz rather than Hillary Clinton or Donald Trump. Riddick is referring to the high rate of abortion within the African American community. 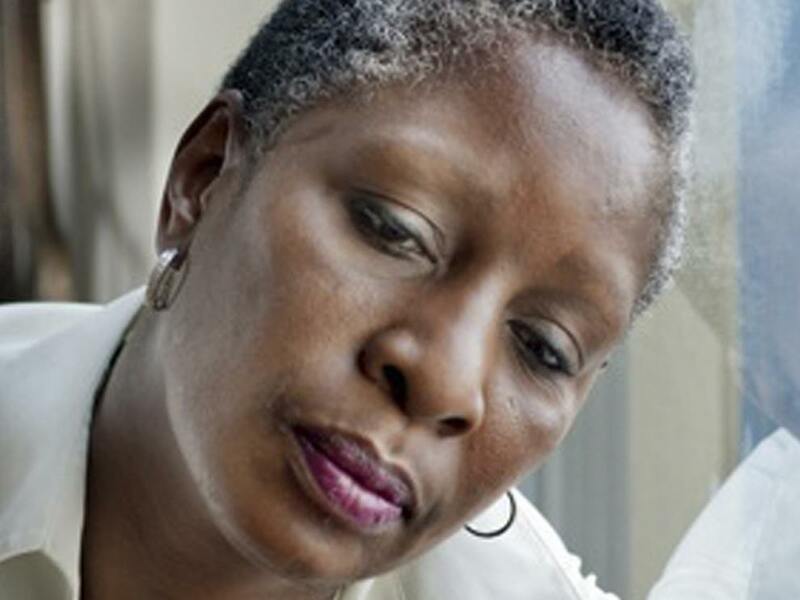 As a victim of eugenics herself, Riddick is convinced that the Black community had been targeted with population control specifically abortion. And the data backs up those suspicions. Research shows that family planning centers and abortion facilities often set up their locations in or near minority communities. In 2011, stats published by the Center for Disease Control (CDC) revealed that almost 56% of all abortions reported for race were done on minority women. According to the latest report dated November 27, 2015, in 2012, over 55% of abortions reported for race/ethnicity were performed on Black or Hispanic women. According to those stats, Black women had the highest abortion rate (27.8 abortions per 1,000 women aged 15–44 years) and accounted for 36.7% of abortions reported for race/ethnicity. 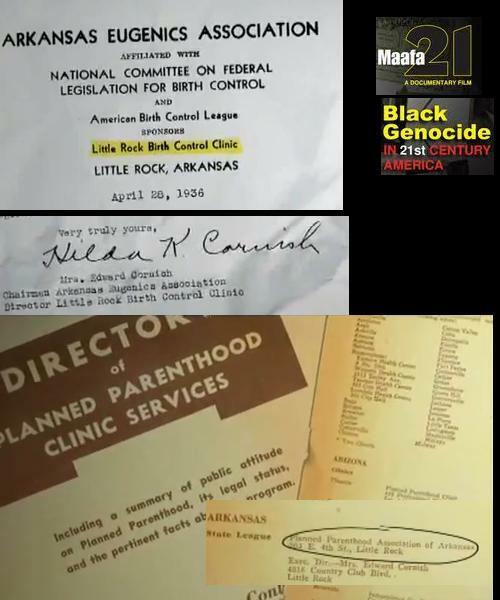 “Planned Parenthood’s fundamental strategy for Population Control of Black and low income women was forced sterilizations and abortions,” Riddick points out. She said that in essence “Black people are dammed if you do and dammed if you don’t” in this country. For Riddick, Blacks are either a target on the streets or a target in the womb and she believes that a person who values life in the womb, will value all life. “Same thing with Hillary Clinton. She is lynching us in the womb,” she added. Elaine Riddick is fully committed to exposing eugenics for one simple reason she is a victim of racist forced sterilization policies. As a 14-year-old girl, Riddick became pregnant after she was raped. Without her knowledge or consent, the State of North Carolina eugenically sterilized her the day she gave birth to her son. “They cut me open like I was a hog,” Riddick said as she testified before a reparations board in the state at the age of 57. Because of Riddick’s tenacity and willingness to tell her story, North Carolina opened their eugenics records and have agreed to compensate the victims in their state. Perhaps this is what led to Elaine Riddick receiving a mention on the NAACP’s History Makers list for 2015. 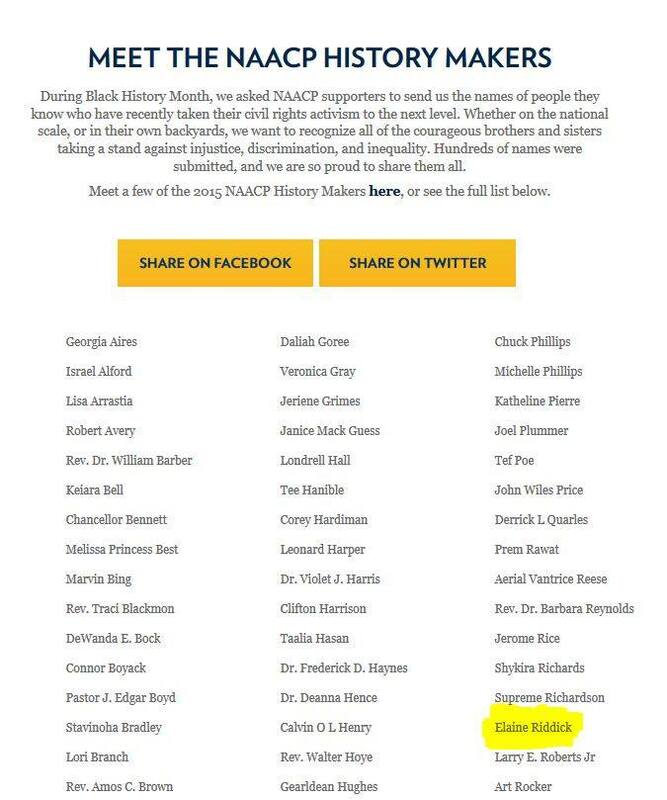 But, I wonder if the NAACP also knows that Elaine Riddick staunchly opposes Planned Parenthood, an organization the NAACP has contributed to in the past. In fact, one of the men who funded the North Carolina eugenics program was a man by the name of Clarence Gamble, who coincidentally also funded Margaret Sanger, the founder Planned Parenthood. Gamble wanted sterilizations to increase rather than decrease, and increase they did. Lest you think that was several years ago and Planned Parenthood was not connected to eugenics. In North Carolina, the Planned Parenthood in Charlotte was founded with help from another man connected to eugenics. Planned Parenthood Health Systems of Charlotte began in 1969 after Wallace Kuralt and banker Art Jones approached Sarah Bryant to start the Planned Parenthood health center, “We were like a Third World country in that area at the time,” she once stated. 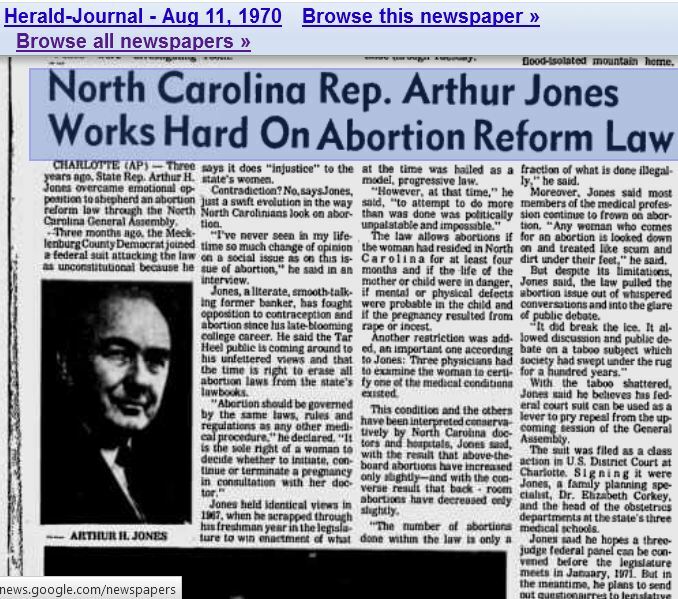 Jones was responsible for North Carolina’s passage of a liberal abortion law in 1967 and blamed the “overpopulation” problem on a growing number of social ills: poverty, ghettos, crime, and mental illness. Sound familiar? 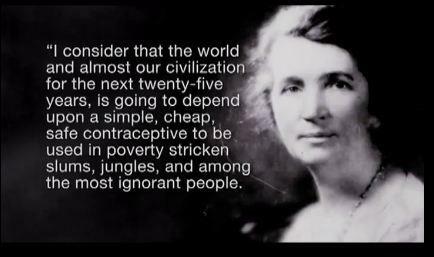 Jones’ statement could have come straight from Margaret Sanger’s racist mouth as well as those of her eugenics backers. Much of the idea for Jone’s abortion bill came from another proponent of eugenics by the name of Wallace Kuralt. Kuralt proposed that the abortion law’s focus be on the “health of the mother.” Kuralt and a welfare department attorney, Myles Hanes, wrote out a first draft of the abortion reform bill and presented it to Senator Herman Moore who mentioned it to Jones. Kuralt was also rooted in eugenics and not surprisingly in 1983 Planned Parenthood of Greater Charlotte gave him the Margaret Sanger Award – according to a Charlotte Observer Obituary from 1994. 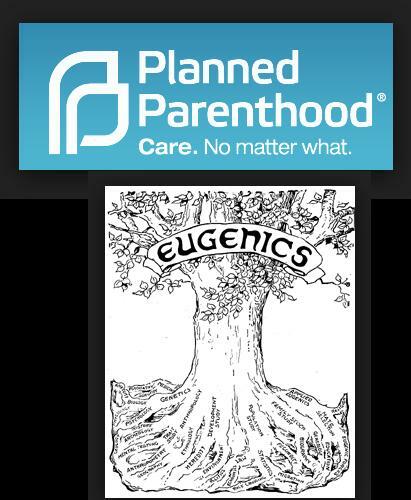 Planned Parenthood’s very slogan was based in eugenics ( read here). In addition, Planned Parenthood received free rent from the Eugenics Society and even advertised in their publications. (Read here). Planned Parenthood is not a sanctuary for women’s health as women have been made to believe. Many women have no knowledge of the cruel and callous history of Planned Parenthood. Euphemisms and sterilization target code words, for example, “feebleminded”, were used to describe Black women like me, Elaine Riddick. I was forcibly sterilized at the age of 14 years under North Carolina’s inhumane forced sterilization policy. A policy that was derived from Margaret Sanger’s Planned Parenthood population control handbook, which spread across the United States by her loyal band of eugenicists and lobbying our elected officials. Those cruel and inhumane forced sterilization polices and abortion-on-demand policies were also exported to create the one-child policy in China; where mothers abandoned or killed their live birthed children to avoid persecution. IPPF programs through the US government also forcibly sterilized millions women and men in India. 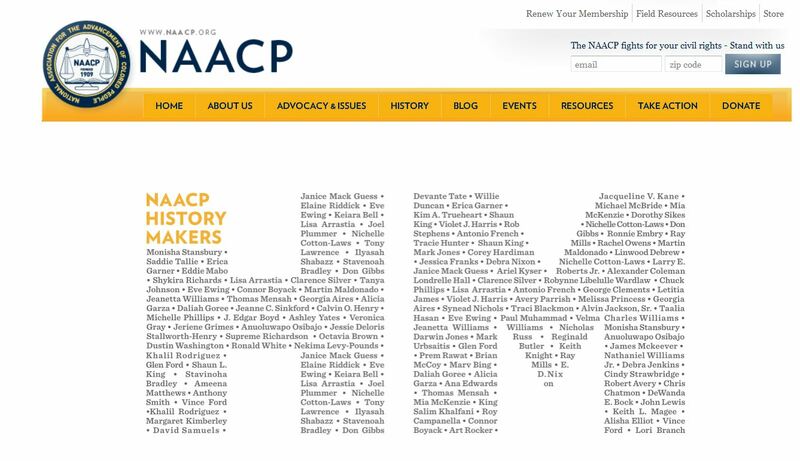 Despite all the evidence linking Planned Parenthood to the racist eugenics movement one would think that the NAACP would join Riddick on condemning them. But, sadly, that is not the case. Regardless of the NAACP’s decision to put their head in the sand and overlook Planned Parenthood’s abysmal connection to racist eugenic policies, it is great that Elaine Riddick was honored as she deserves it ! Eugenic sterilization programs existed in America in at least 31 states. Many of the women forced or coerced into sterilization were black. From 1929 to 1974, the state of North Carolina forcibly sterilized thousands of people who were deemed to be mentally handicapped, promiscuous or unfit to have children. 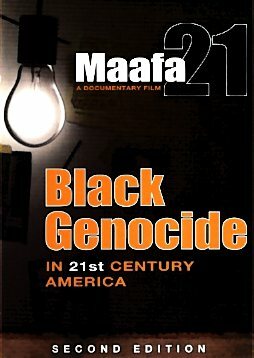 Life Dynamics has documented the history of the American Eugenics Society including North Carolina’s forced sterilization program in their film, Maafa21: Black Genocide in 21st Century America. 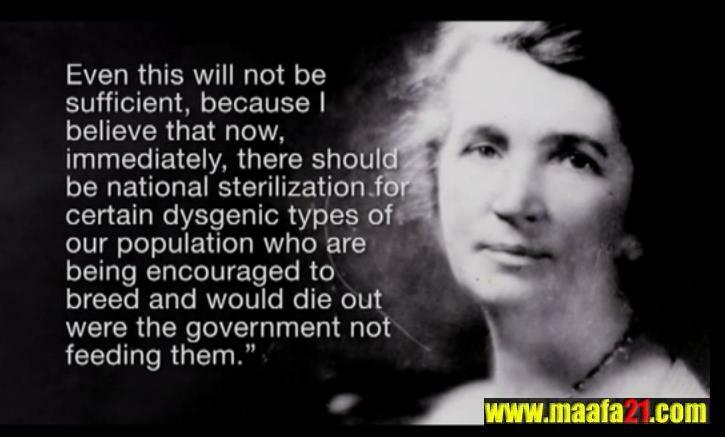 Eugenics Society member, Margaret Sanger, who later founded Planned Parenthood, also advocated sterilization of the so-called unfit. 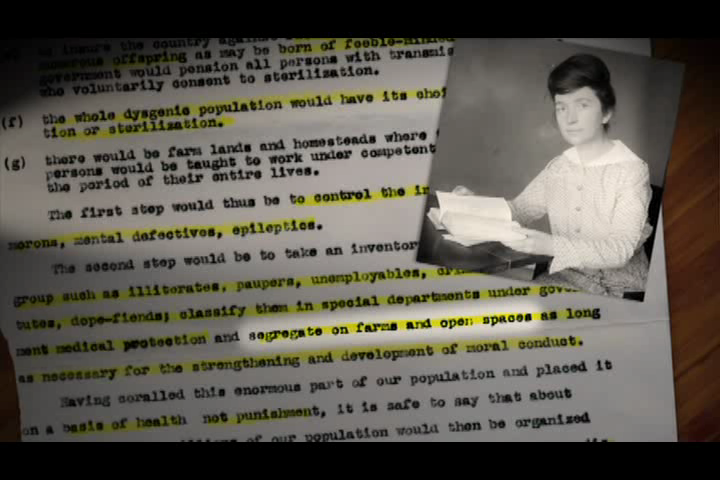 In 1950 Sanger advocated eugenic sterilization in a personal letter she wrote to Katharine Dexter McCormick, an heir to the International Harvester fortune who used her immense wealth to fund the development of the birth-control pill. Sanger’s connections to eugenics was nothing new. She had long praised their ideologies and published several articles on the topic in her Birth Control Review. 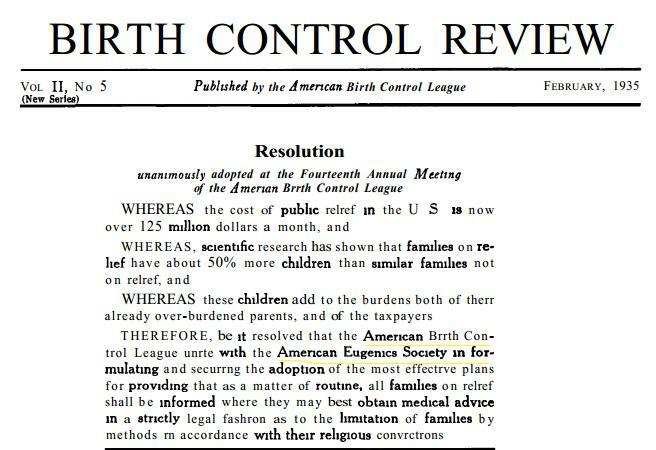 In 1935, Sanger’s American Birth Control League published a resolution to unite with the American Eugenics Society. Gamble was a heir to the Proctor and Gamble fortune and a major financial backer of Sanger’s. Gamble was also a director of Margaret Sanger’s American Birth Control League, which later changed its name to Planned Parenthood. In 1947, Gamble called for the expansion of North Carolina’s State’s sterilization program saying that for every feeble minded person sterilized, 40 more were polluting and degrading the bloodlines of future generation with their defective genes. But merely wanting the sterilizations to happen was not enough for this Margaret Sanger supporter. Clarence Gamble put his money where his eugenics views were and actually funded the North Carolina Eugenics Board that sterilized many blacks, including 14 year old Elaine Riddick. 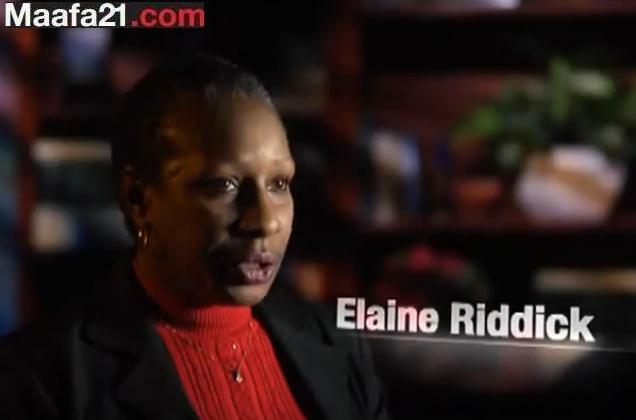 Shortly after this interview in Maafa21, Elaine Riddick testified before the North Carolina State Legislature in a successful effort to receive compensation for the sterilization. 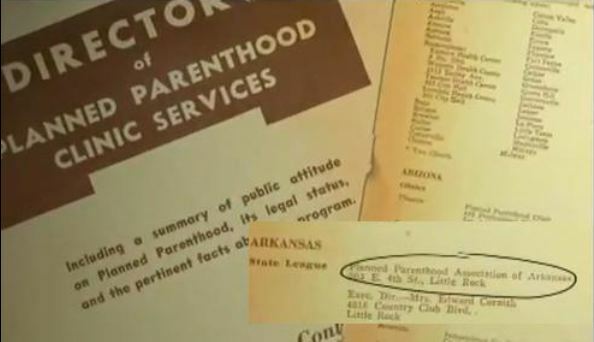 In fact, documents from eugenics publications reveal that ‪later, as Sanger’s American Birth Control League morphed into Planned Parenthood they received rent free space from ‪the Eugenics Society. A fact which is rarely reported is that, in many places, Planned Parenthood was one and the same as the Eugenics Society. 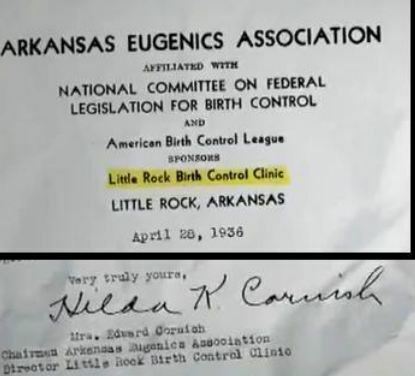 Later the Arkansas Eugenics Association would become the Arkansas State Affiliate of Planned Parenthood and Cornish would be named its executive director. 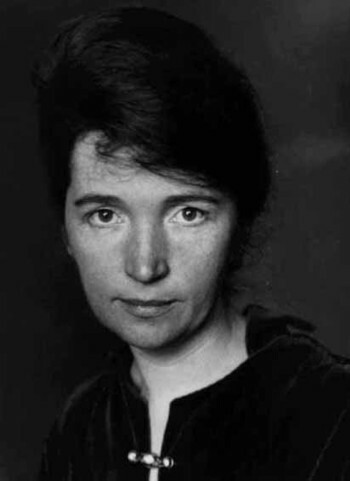 Supporters and directors of Margaret Sanger were, like her, entrenched in eugenics. Sanger’s backers knew that they were promoting views that would limit the population of a certain group or race of people, primarily African Americans. Their eugenics agenda reached into the lives of innocent and unsuspecting victims like Elaine Riddick with programs of coerced sterilization. But Elaine represents merely a fraction of the black women affected by eugenics. 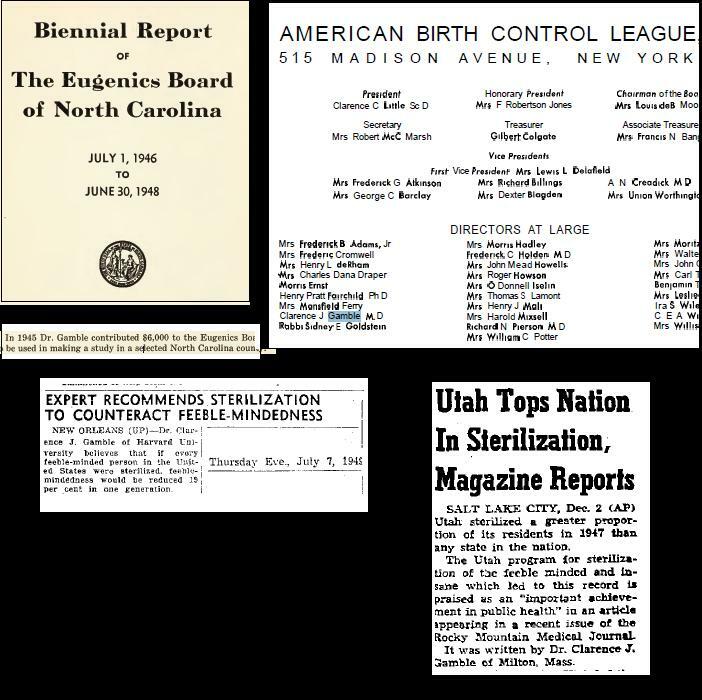 Over the years the names of these organizations may have changed but their eugenics agenda remains the same and are targeting more unsuspecting people today. “Euphemisms and sterilization target code words, for example, “feebleminded”, were used to describe Black women like me, Elaine Riddick. I was forcibly sterilized at the age of 14 years under North Carolina’s inhumane forced sterilization policy. A policy that was derived from Margaret Sanger’s Planned Parenthood population control handbook, which spread across the United States by her loyal band of eugenicists and lobbying our elected officials,” Elaine Riddick wrote recently. 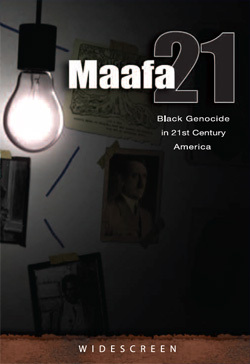 For more on the forced sterilization of Black women and the eugenics movement, watch Maafa21. Janice Black (right) with her friend and caretaker Sadie Long at their home in Charlotte. Janice Black was one of the last victims of the North Carolina Eugenics Board which disbanded in 1974. Black was 18 that year and living with her stepmother. She has a big smile and a contagious chuckle, but her developmental disabilities led the Eugenics Board to conclude that she wouldn’t be a fit parent and ordered her sterilized. She kept it a secret until last year, when North Carolina state leaders began talking seriously about compensating eugenics victims. Speaking out was cathartic for Black. Tuesday afternoon, North Carolina lawmakers allocated $10 million to be split among the living eugenics victims who agree to come forward and have their claims verified in the eugenics board records. Of 7,600 in all, some 1,500 victims are estimated to still be alive. Only 177 have come forward so far, which means Black could get as much as $50,000, but possibly far less. Victims have until next June to apply for compensation, but checks won’t be cut until June 2015. Rita Thompson Swords agrees. She was sterilized at 21 after giving birth to her second child as an unwed mother. She says her father was coerced into signing the form from another hospital room where he was undergoing treatment for brain cancer. The legislative decision to compensate victims like Swords is the culmination of more than a decade’s crusade for former North Carolina State Representative Larry Womble. He first heard about the eugenics program from a reporter in 2002. 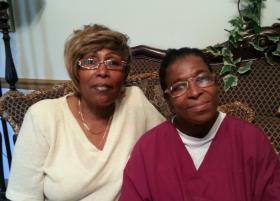 Sterilization victim Lela Dunston, 63 (seated front), following a meeting of the Governor’s Eugenics Compensation Task Force in North Carolina in 2012. In 2002 North Carolina became one of the first states to publicly apologize for practicing eugenics. The movement believed that poverty, promiscuity, and alcoholism were inherited traits, and that without them the gene pool could be improved. Some of the victims were as young as 10 and chosen because they were promiscuous or did not get along with their schoolmates. North Carolina is one of about a half-dozen states to apologize for past eugenics programs, but it is alone in trying to put together a plan to compensate victims. Elaine Riddick was raped and impregnated at 13 years old and, after giving birth to her son Tony, she was sterilized against her will. Riddick, who was sterilised without her consent as a teenager after she was raped and had a child, has led the campaign for compensation and welcomed the decision. “I tip my hat to North Carolina. Finally they came to their senses and decided to do what’s right,” she said. Today, Life Dynamics Inc., a national pro-life organization located in Denton, Texas applauds the decision by North Carolina lawmakers to allocate $10 million to compensate victims who were forcefully sterilized under the state’s secret eugenics program. 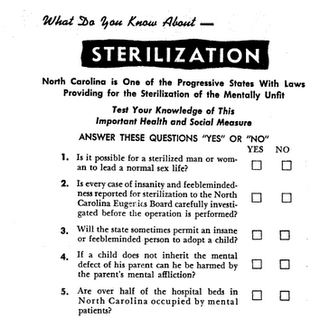 From 1929 to 1974, North Carolina forcibly sterilized thousands of people who were deemed to be mentally handicapped, promiscuous or unfit to have children. 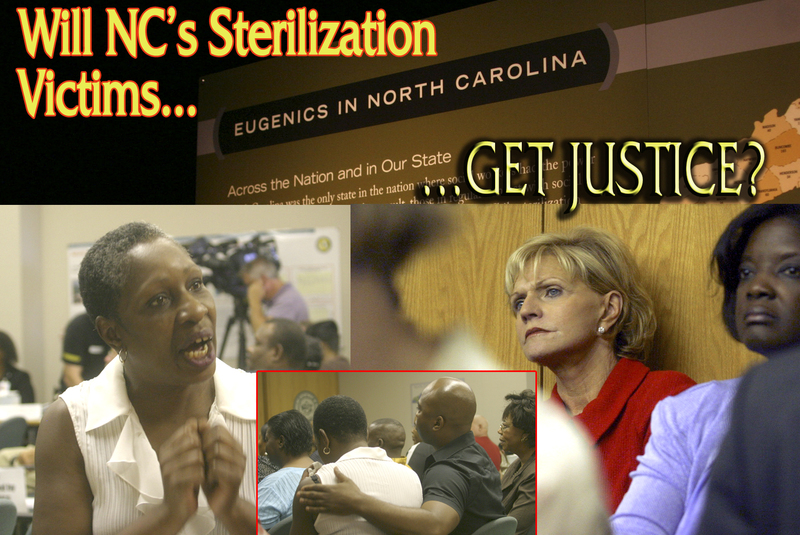 Life Dynamics has documented the history of the American Eugenics Society including North Carolina’s forced sterilization program in our film, Maafa21: Black Genocide in 21st Century America. The term eugenics was coined in the mid 1800’s by Francis Galton, the cousin of Charles Darwin. Galton believed in trying to increase those he felt were superior in stock and decrease those he felt were inferior. This ideology still exists today in organizations that promote population control and abortion. The idea of forced eugenics was not something that suddenly developed in the 1970s. In 1907, Indiana had become the first of more than 30 states to pass sterilization laws and some of those laws stayed on the books well into the 1970s. In fact, the State of Oregon did its last sterilization in 1981 and did not abolish its eugenics board until October of 1983. There were some within the eugenics movement who were uncomfortable with the idea of using force and they would express their reservations about it in public. But when pressed, virtually none of them would rule it out – including Planned Parenthood founder Margaret Sanger. Sanger’s connections to eugenics was nothing new. She had long praised their ideologies and published several articles on the topic in her Birth Control Review. In 1935, Sanger’s American Birth Control League published a resolution to unite with the American Eugenics Society. 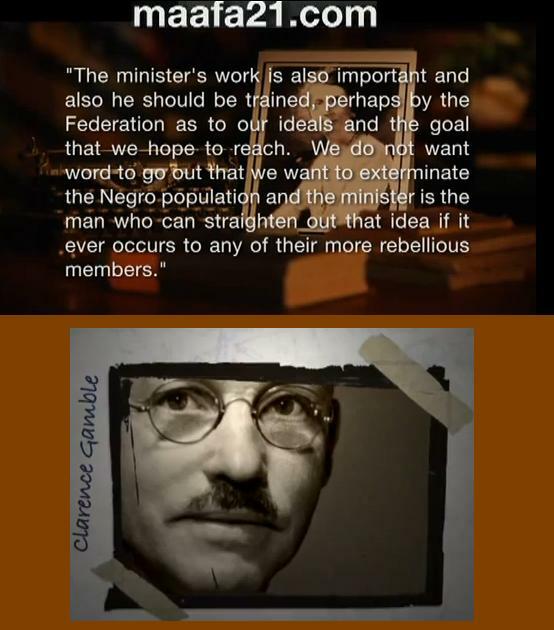 Sanger’s financial supporter, Clarence Gamble, provided funding directly to the North Carolina Eugenics Board which sterilized many women included many African American women like Elaine Riddick. In fact, documents from eugenics publications reveal that ‪Planned Parenthood even received rent free space from ‪the Eugenics Society. 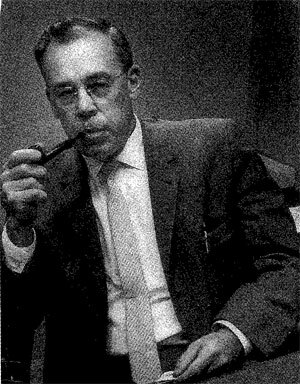 In a 1929 speech, American eugenicist Samuel Holmes had proposed that mandatory birth control should be used as a tool to eliminate what he called the menace to the white race that had been created by increases in black population. His solution was to have a quota system in which the right to have a child would be controlled by the government and determined by race. 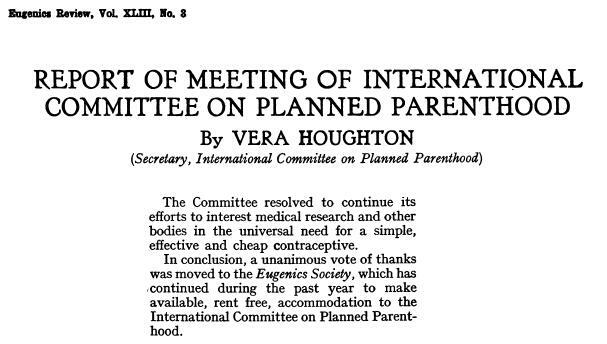 At the time, Holmes was on the National Council of the American Birth Control League which would later become known as Planned Parenthood. Then in 1936, eugenicist Julian Huxley, proposed that the genetically inferior classes could be made to have fewer children if they were denied easy access to welfare. Another part of his proposal was that medical care to these same people should be restricted in order to reduce the survival rates of the children they did have. He also called for the forced sterilization of anyone who was unemployed beyond a certain length of time. Huxley was later honored by Planned Parenthood and was a featured speaker at one of their annual conventions. In 1969, a professor at the University of California, Dr. Garrett Hardin, called it insanity to rely on voluntarism to control population. 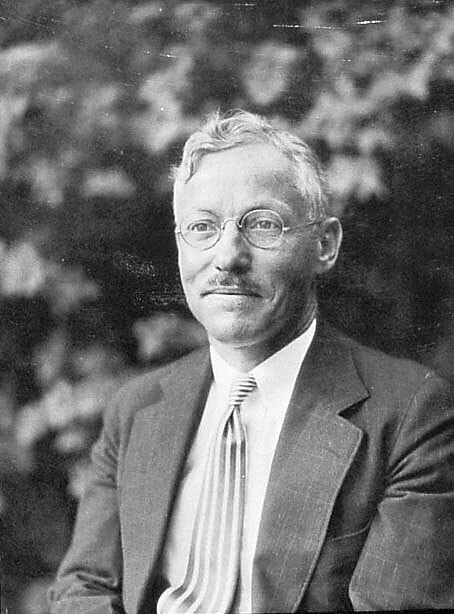 Hardin was a member of the American Eugenics Society and an outspoken advocate of government enforced birth control saying that citizens should be willing to give up their right to breed for the betterment of society. In 1980, he was given Planned Parenthood’s highest national award. Lela Mae Moore Dunston of Raleigh was a courageous advocate, passionately arguing that she and the other victims of the state’s forced sterilization program should be compensated. She died July 9, shortly after hearing that the state Senate had let the strong push to compensate fizzle. Dunston was just 63 when she died from longstanding health problems. Other victims, such as 79-year-old Willis Lynch of Warren County, have repeatedly told me that the state is waiting for them to die so it won’t have to compensate them. John Railey of the Fay Observer feels that Dunston’s death should stand for something. It should be a clarion call for Gov. Bev Perdue to spend her last weeks in office pushing the state legislature to finally help these hurting and dying victims, if not before she leaves office, at least in January as the legislature reconvenes. Charmaine Fuller Cooper, the former head of Perdue’s foundation on compensation, told John Railey of the Fay Observer, that Dunston was very important in the compensation fight. She’d called Dunston in the hospital to let her know about the bad news from the Senate. “She was not happy at all,” Cooper said. The story of Dunston’s sterilization is tragic. Her story is not that different from many other victims of the state’s program. Dunston was 13. She lived with her mother in Wilmington. She was pregnant with her first child. It would be the only baby the state would let her have. She raised that son. Like most victims, Dunston had no idea that what happened to her was part of a nationwide movement. Finally, a few years ago, she read about the state sterilization program in a newspaper. She tracked down state records that confirmed she was one of the more than 7,600 victims of the program that, by zeroing in on black women and girls like her in its last years, was genocide. Lela Mae Moore Dunston lived in Raleigh, just a few miles away from where a board of men and women she’d never met voted to have her sterilized in March of 1963. Willis Lynch was just 14-years-old when he was sterilized at a state training school in Kinston, N.C., in the late 1940’s. At the time the Eugenics Board had declared that no ward of the Caswell Training School, “should be released before being sterilized, except in the few instances where normal children have been committed through error.” Willis was sent to the training school by his mother, who was overwhelmed with caring for seven children on welfare. 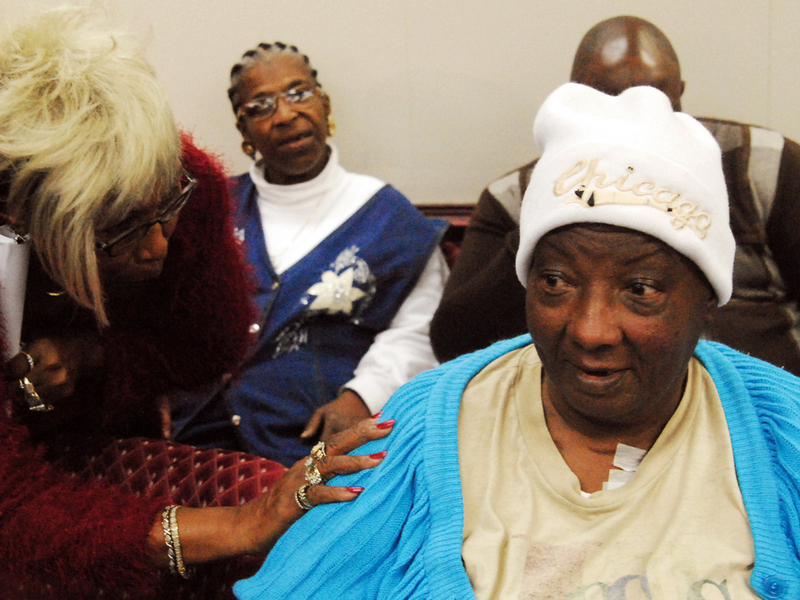 After years of telling and re-telling her story, Sterilization victim, Elaine Riddick is pleading with the state of North Carolina to take responsibility for what they did to her through their Eugenics Programs.